How did he even catch it to begin with? The subbing confuses me a little. 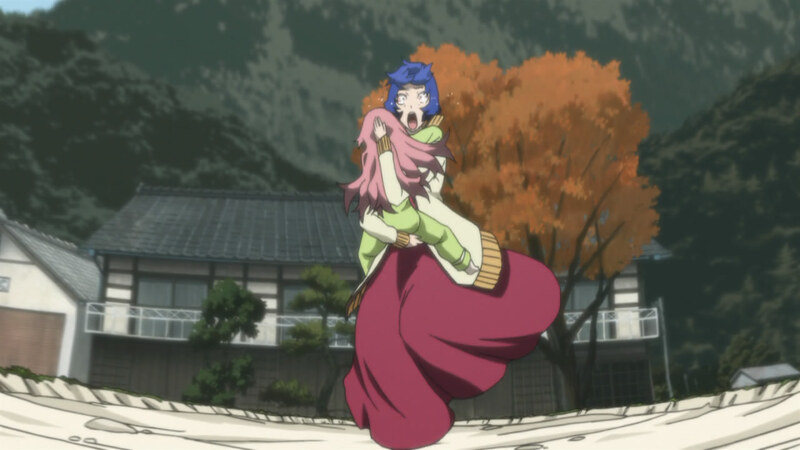 Unfortunately, Motoko's everyday life wasn't really happy, even without the shiki meddling. She seemed to be the much-criticized daughter-in-law, with her father-in-law (Maeda Iwao) safely rooted as the family's patriarch. Her mother-in-law (Maeda Tomiko), looking to be some sort of rich socialite, seemed to only be able to criticize her. As the days rolled on and the funerals kept going, Motoko suggested to her father-in-law that he visit the hospital when he became sick. 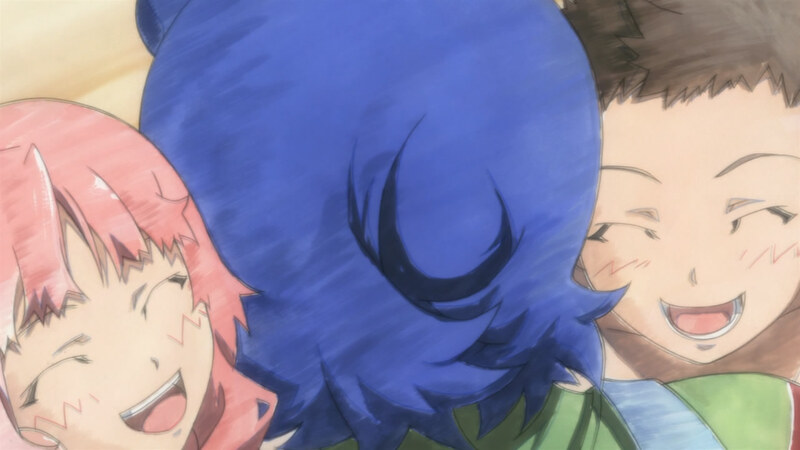 I suppose his behaviour could be justified slightly - he was, after all, under the influence of whoever was feeding off him - but Tomiko crudely butted in to let Motoko know that her over-worrying nature was terrible. Iwao died the next day. I know this was an emotional scene, but I still laughed. 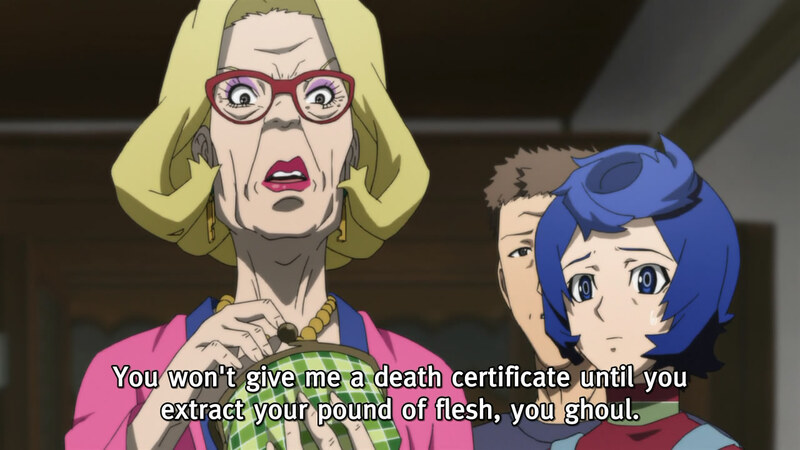 With Tomiko clearly against an autopsy, going so far as to insinuate that Toshio just wanted a bribe in order to sign off on the death certificate, Motoko had her hands tied. However, it was clearly not so much of a problem for her; I get the feeling she'd lived like that for a long time, being pretty much helpless and slightly abused. It was obvious that she lived for her children. When her husband died, she clutched at the two of them in desperation and a sense of protection - and on the first day that Shihori became sick, she urgently took her to the hospital. Unluckily, Toshio was closed that day (he was with his wife's dead body, as the quick screens showed), and so Motoko did the symbolism thing - she crossed the highway to go to the "outsider" clinic. Of course, it was closed, too; the clinic was nothing more than a front and a hideout for shiki, anyway. Is there really no overpass or underground path? With Tomiko, still completely healthy, publicly telling her off for subjecting her daughter to such erratic behaviour, Motoko began to visibly lose her energy as Shihori descended further into her illness, eventually succumbing to death. I wonder how much pleasure taking physical revenge on her mother-in-law had for Motoko; I'm sure that she had wanted to do so for a long time, but the circumstances probably took precedence on her mind and mood. Either way, she descended further into madness after Tomiko died, calling the "outsider" funeral home so that she would have to have nothing to do with the service. When another villager suggested that there were rumours of dead villagers roaming around - and one of them being Iwao - Motoko began to blame the patriarch for being so controlling that he would take the family with him into death. She barricaded her son and herself in the bathroom, but it was really already too late. In the meantime, Kanami's mother passed away. The disconnect between the villagers was one of the themes of this episode, as it had been in the series itself - at any given time, lots of events were occurring to the various occupants, but they generally did not reach out to each other except on a shallow level. 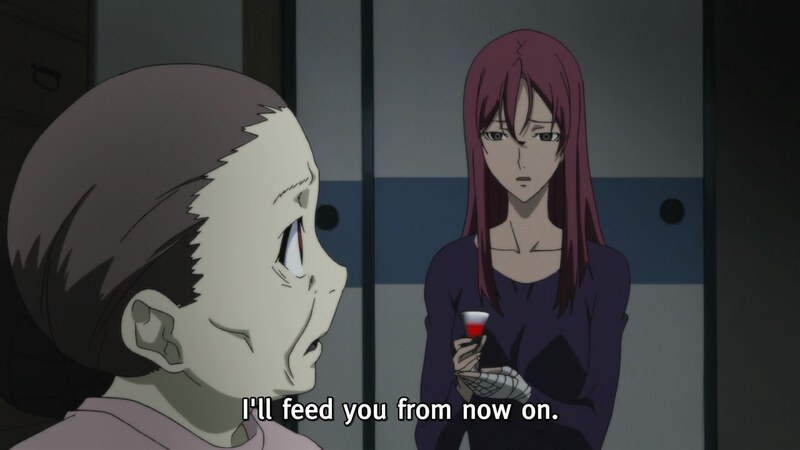 While all of these events were happening to Motoko, Kanami had her own hands full with her ill mother. It didn't take very long for the old woman to rise and she returned to her house, her short-term memory at a loss. When she was unable to digest any food and became ill again, Kanami's slight injury (a cut on her hand) alerted both women of what shiki needed. In a very touching scene (which had been hinted at in the other episodes), Kanami had her mother drink her blood, vowing to try to keep her "alive", while the old woman sobbed at what she had become, vowing to not kill anyone. Why did her clothes have to burn if she was not going to run away...? Motoko emerged once more, with her delusions allowing her to become removed from her surroundings. 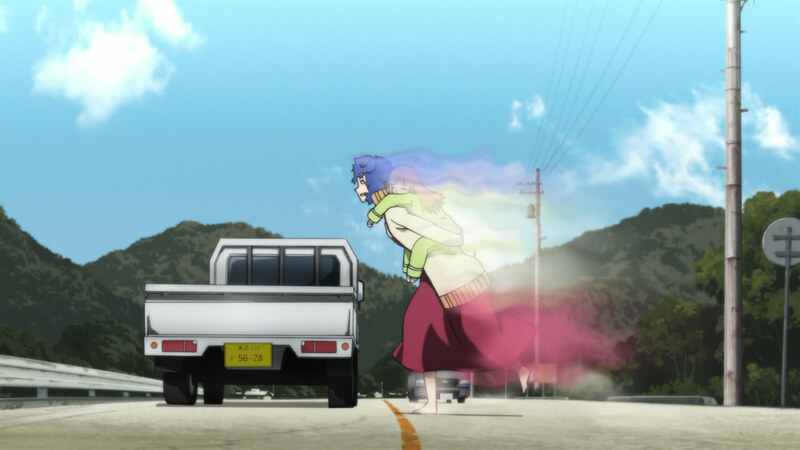 She went to Kanami to report that Shigeki had "melted", not being particularly freaked out by the occurrence. After she found out that Kanami's mother had risen, however, something inside her clicked and she descended further into madness, blaming Iwao for taking her beloved children from her. As she roamed the village, accidentally telling the villagers of Kanami's situation and dooming Kanami's mother to a more permanent death, she constantly blamed Iwao for his deeds and eventually ended up at a house in the hills, perhaps one of the first places that the deaths had happened. 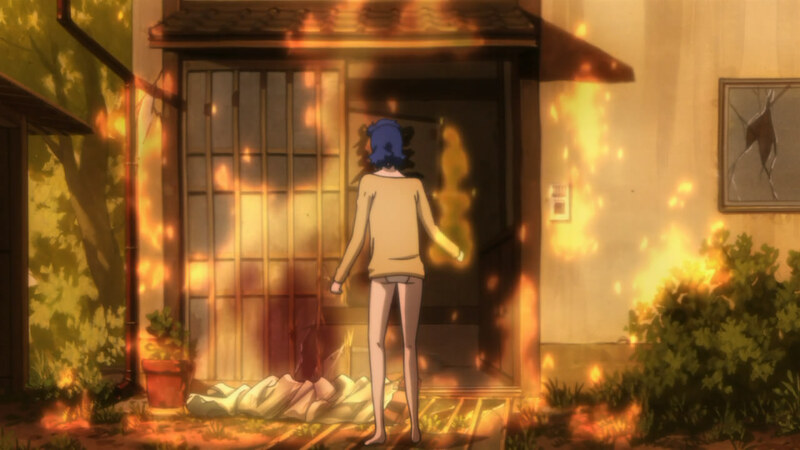 In a final act of depravity, she burned the house and herself...and, most likely, the rest of the village. The fire that appeared for the anime's finale was, after all, raging and out of control. Bush fires tend to be like that, but so does arson. Too formal to be casual and too casual to be formal. 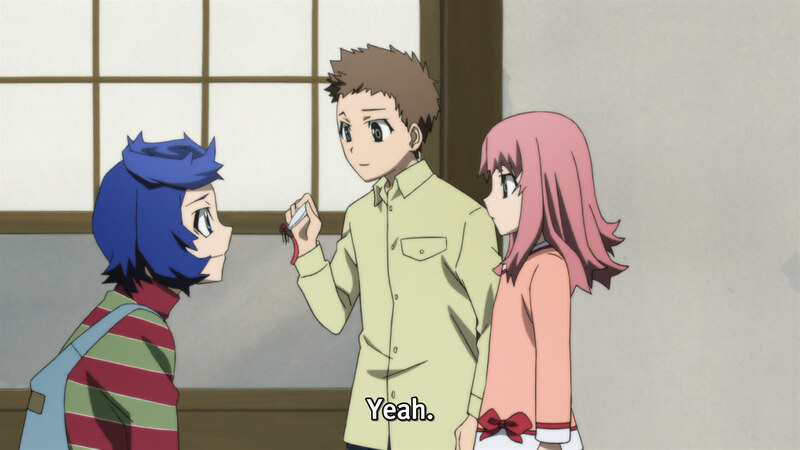 Megumi did dress strangely. 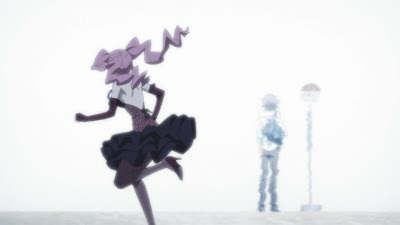 This should be the last "extra" episode of Shiki, bringing closure to the series. While this episode was very clearly attached to the main series, maybe even more than ep20.5, it obviously didn't belong in the original run-time. It's only after the series is over that this can be appreciated, I think; it's like analysing the themes of a book only after you've finished reading it.